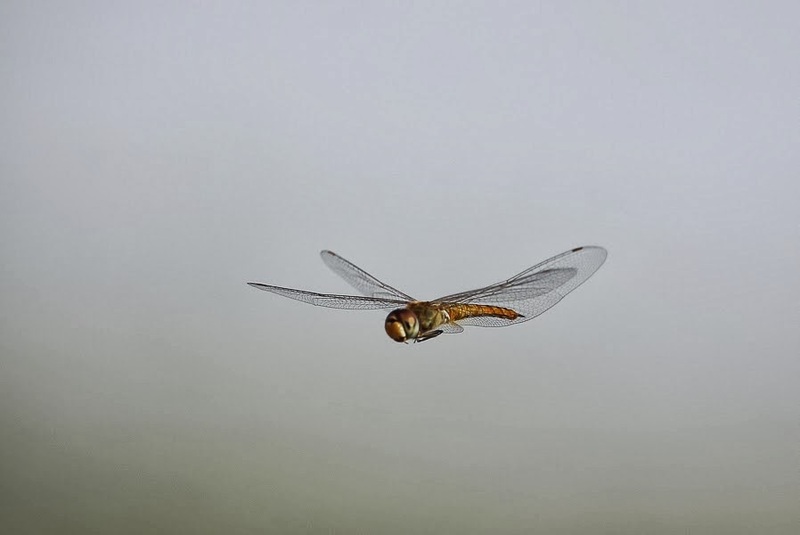 The Wandering Glider or Globe Skimmer Pantala flavescens is a large species often seen hawking insects over sizable pools in wadis of the Tuwayq Hills, where it eats its prey on the wing.. It is a strong flyer that may account for its widespread distribution, where it is the most widespread dragonfly on the planet. It is found where annual mean temperatures are above 20 degrees Celsius. They are found in many parts of the world and may only be a migrant to Saudi Arabia. In Insects of Eastern Arabia by Walker & Pittaway 1987, it is not shown in the Eastern Province of Saudi Arabia, but the one photographed here was taken at Dhahran Percolation Pond in the Eastern Province. As mentioned above this may be because they are migrants with recent stable isotope date suggesting they migrate from India or beyond to Africa across the Arabian Sea. This note is due to the fact that Petro Pynnönen sent me the identification of the dragonfly after I posted the photo and asked for help naming it. I thank Petro very much for adding to my, and hopefully your, knowledge.